These pages contain all products under this heading, to refine your search please use the submenus which have now appeared on your left. 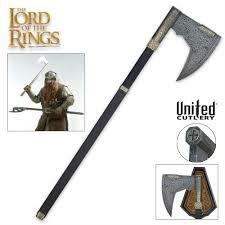 43" Overall, featuring a 29" unsharpened carbon steel blade with engraved symbols. Leather wrapped wooden handle and ABS pommel. Includes engraved hardwood case with black finish and table stand with emblem. 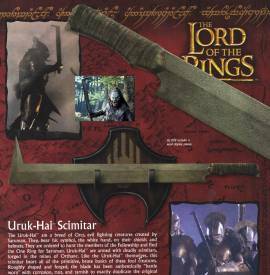 Forged within the mines of Orthanc, this brutal looking weapon represented its wielder, the Fighting Uruk-Hai. 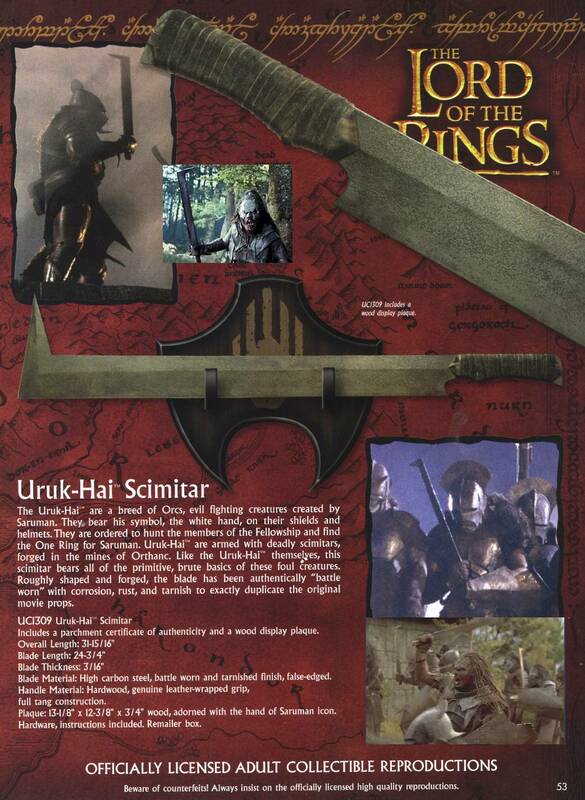 With little need for anything other than a weapon, able to dispatch all foes within their path, the Uruk-Hai Scimitar is a simple, yet strong symbol of how simple weapons can be so effective. 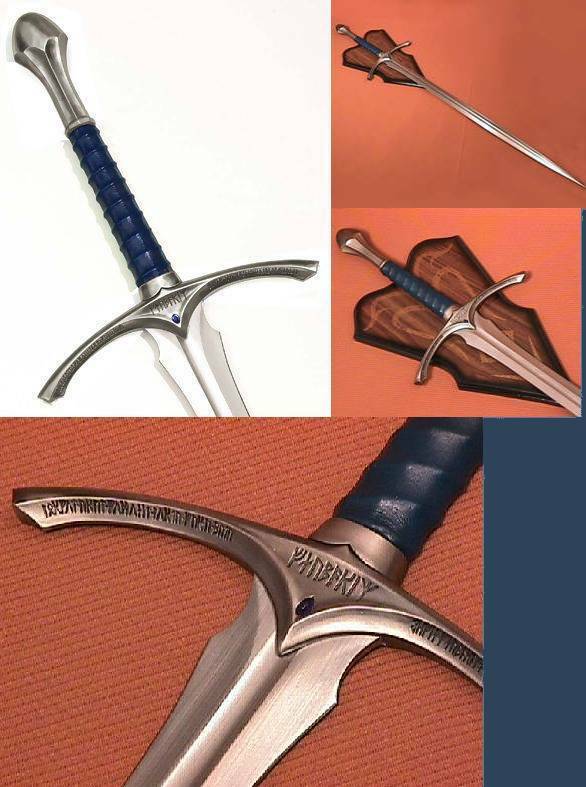 Comes with wall plaque bearing the White-Hand of Saruman, Symbol of Isengard. 32 inches overall, with a 24.7 Carbon Steel blade. Handle is wooden with crude leather wrap. Feature: Life size, 1:1 scale, not edged.